Sid Meier’s Civilization VI is actually coming to Nintendo Switch! 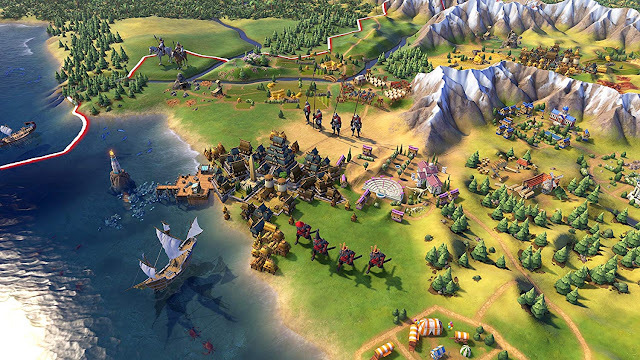 Unfortunately for Nintendo, the Nintendo Direct that it was meant to host last week was going to have a great surprise in it for fans of strategy games; Civilization VI, the most popular 4X strategy franchise by far, is coming to the handheld-that-could. That Direct was delayed, which is where the “unfortunate” comes in; the news leaked anyway, meaning that the Direct itself will be short one amazing little surprise. Civilization VI on Switch will come with four of the game’s DLC packs built in: Vikings, Poland, Australia, and Persia & Macedon. This is a complex, epic strategy experience in which you take one civilisation to cultural, scientific, or military dominance, and because each civilisation is so different, it’s also an effectively unending experience. Related Reading: We've launched a weekly catch-up specifically dedicated to Switch ports! The first one is here. The Switch is no stranger to strategy games with global scope; I’ve been playing Realpolitiks over the last week, and it’s amazing to be able to play it on a small little handheld, but I’m certainly not complaining. Having Civ VI in my pocket on the go is going to be nothing short of a gift. And we don’t even have to wait too long for it; it’s currently slated for a November 16 release. Musical titles aren't best known for narrative, but Wandersong sets to change that. The side-scrolling title follows a bard traveling the planet to learn about Earthsong to prevent the universe's demise. Wandersong's heart is definitely music, but there are also puzzles to solve and a large cast of characters you'll be excited to meet. The bard is described as a "walking musical instrument," so you'll use song in every interaction. Wandersong is coming to PC via Steam and the Nintendo Switch (via the eShop) on September 27. It's being published by Humble Bundle. 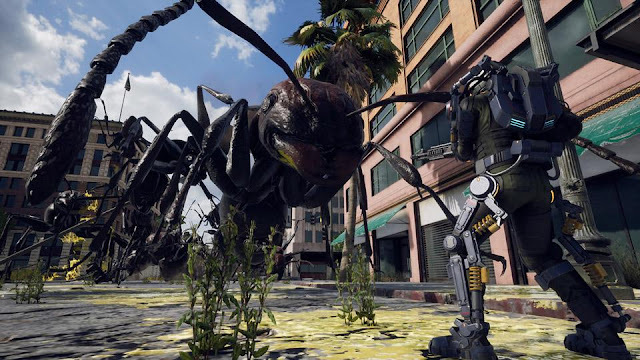 Earth Defense Force: Iron Rain was announced as part of D3 Publisher’s TGS 2018 lineup, and along with that came a tasty titbit of news; we now know when we’ll get the game in the West. D3 Publisher will drop this PlayStation 4 exclusive in our pockets in 2019. That is a vague date, I’ll grant you, but it’s Earth Defense Force, and it’s been far too long since the last one. I’d take anything. For those who haven’t played earth Defense Force, you’re in for a wild ride. It’s every B-grade monster movie cliche in the book, thrown into an action shooter context that is incredibly difficult to put down. Especially if you’re playing with a buddy. Truly, co-op gameplay doesn’t get more outrageously entertaining than this. Fingers crossed I get the chance to get some hands-on impressions for you from the TGS floor! Is a new Katamari on the way? Bandai Namco, all eyes are on you! The company has trademarked "Karamari Damacy Reroll" in Europe. 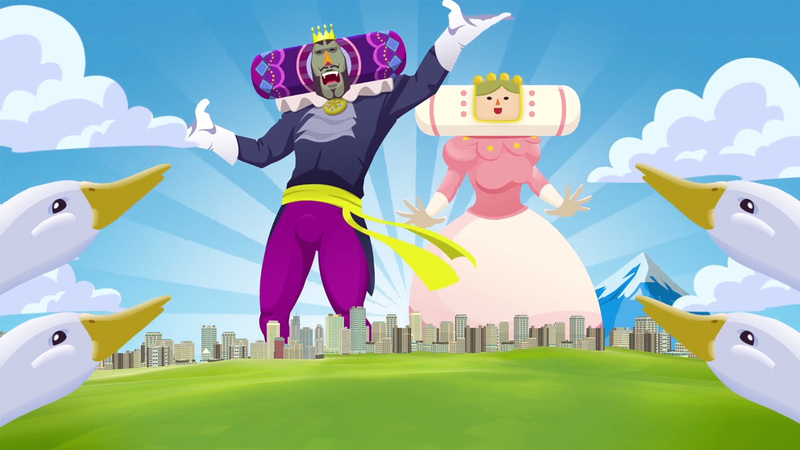 Other than a terrible clicker game released on iOS, the Katamari series hasn't seen a new game since 2012. The last game released was for the PS Vita, a console still in use, but before that it was for PlayStation 3. The series, created by Keita Takahashi (who is currently working on Wattam, another vert quirky title), involves rolling up the world, starting small until you can literally roll up the world. The question is: what is Reroll? Is it a brand-new title? A remaster? Ooooh, a collection of the past titles all rolled into one for current-gen consoles? I don't care what it is, I want it now. I'm willing to put my money on a remastered collection though, or even just a ported one, possible to the Nintendo Switch.